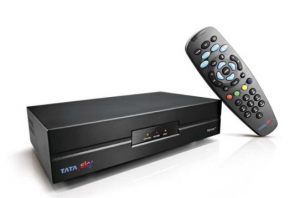 Indian DTH pay TV provider Tata Sky has expanded its contract with content security specialist Irdeto to protect its expanded range of services. Tata Sky will use Irdeto Cloaked CA and middleware to deliver an improved customer experience while ensuring that its content remains secure, according to Irdeto. Cloaked CA is a cardless conditional access system for broadcast and IPTV operators that uses Irdeto’s Cloakware technology to protect both content and software. Tata Sky last year chose Irdeto to provide technology for its OTT services, to simplify the operations and workflow of supporting multiple digital rights management systems. “At Tata Sky, we are committed to providing our customers with the most innovative video services across satellite and online platforms in India. To provide consumers with greater choice and convenience, we need a security partner that gives us the freedom to innovate without fear. In Irdeto, we are working with a strong security partner with a forward-looking approach and future-proof solutions. This enables us to continue innovating our solutions and services while giving us the peace of mind that our content is secure,” said Harit Nagpal, managing director and CEO, Tata Sky. “We are honored to be selected by Tata Sky as their long-term security partner for Conditional Access and Middleware. This deal further reinforces Irdeto’s commitment to the dynamic and fast-growing media market in India and we are excited to continue working with Tata Sky to help them meet their business goals,” said Doug Lowther, CEO, Irdeto.